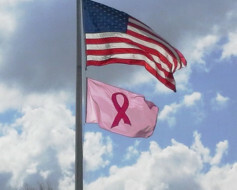 A pink breast cancer awareness ribbon on a white background. Printed nylon flag mounted on a 10" tall black plastic staff. 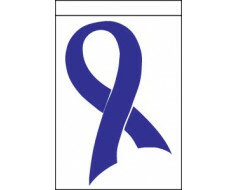 A purple cancer awareness ribbon on a white background. A portion of each sale is contributed to help the American Cancer Society save more lives by helping people stay well and get well, by finding cure, and by fighting back against cancer. The American Cancer Society does not endorse any product of service. 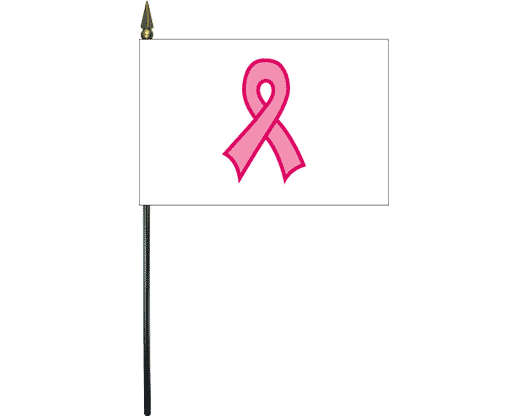 You're reviewing: Breast Cancer Ribbon Stick Flag - 4x6"